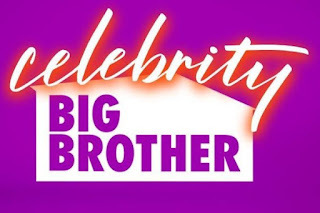 Hey all - here is the quick and dirty summary of everything I know about Celebrity Big Brother now that the cast has been announced. The show will air from Wednesday 2/7 through Sunday 2/25. These are the dates I have. We assume each Friday is a double eviction - but that might not be true. All episodes ait at 8pm ET and one hour unless listed differently. There WILL be live feeds. Please be sure to sign up via any banner or this link. 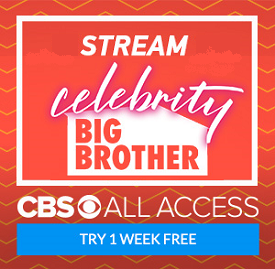 You get one week free with the link. The Big Brother Gossip Show WILL be back. We will do our first show on Saturday, February 3rd. We do not know the exact format - how things will work - hopefully we will learn a bit more this week. We have heard that they are playing for $250k - thats not bad for 2 1/2 weeks work! And here is the cast - I 'knew' eight of eleven - I know lots of people only know a few. Its not a surprising list and frankly I'm pretty happy with it because I was concerned we'd see a lot of youtube stars or even former HGs and we don't. I'm not going to discuss them here - I've already tweeted about them a bit and we will discuss them in detail next weekend. That's what I have for now! Talk to you soon and hope you'll be checking Celebrity Big Brother out!! The Return of the Big Brother Gossip Show!